An excellent exterior painter can extend the life of your siding and trim and increase the value of your home. Learn the best methods and techniques for applying exterior paint smoothly and accurately. Exterior painting can be a challenging job. However, the rewards are great. With a reasonable investment in tools and materials, you’ll save thousands of dollars and increase the value of your home. The best thing about it is that your house will look new again. While you may spend a significant amount on paint and other tools needed, the same job done by a professional could cost more. Your savings will come at a cost. A good exterior home painting requires countless hours of thorough preparation. Finishing a top-quality exterior paint job needs more than perseverance and motivation. You need a keen eye, steady hands and enough practice to paint straight and crisp lines. Aside from these, you need to have a strong body for moving heavy equipment like ladders and scaffoldings. When you apply top coat, you are not required to use much equipment aside from the basic tools you have in your kit. It is highly suggested to buy high-quality synthetic bristle brushes for latex paint application. If you will apply paint to large areas of shingles, use a roller setup made from top quality roller cage and a half inch roller covers. Don’t forget the roller screen. Standard 9-in. Rollers are suitable for larger and flat areas. #1 Dip the bristles about 5 cm into the paint of your choice. Slap the brush back and forth once against the sides of the can to remove excess paint. #2 Lay the paint thickly with three to four strokes. You don’t need to smoothen it yet. Reload your paint brush and repeat the process until you have covered about 1 sq. metre. #3 Without reloading the brush, smoothen the paint. Apply sweeping brush strokes from the unpainted area toward the painted part. Don’t forget to lift the brush while it is still moving after each stroke. Selecting exterior paint colours that complement the style and design of your house is the first step to a successful exterior painting job. You can research on the internet or at your local library. On another note, you’ll find brochures at the paint store with collections of colours. Many paint stores have designers on duty who can help you pick the best colours, or you could hire an exterior painting professional. Choose the exterior paint colours you want and buy a litre of each colour. Start painting the entire colour scheme on a small area of your house before you buy larger quantities. If the results are not favourable to you, try changing the colours and try again. Next, take a rough measurement of your house while noting the type of surface. You should also know how many doors and windows you have in your home. 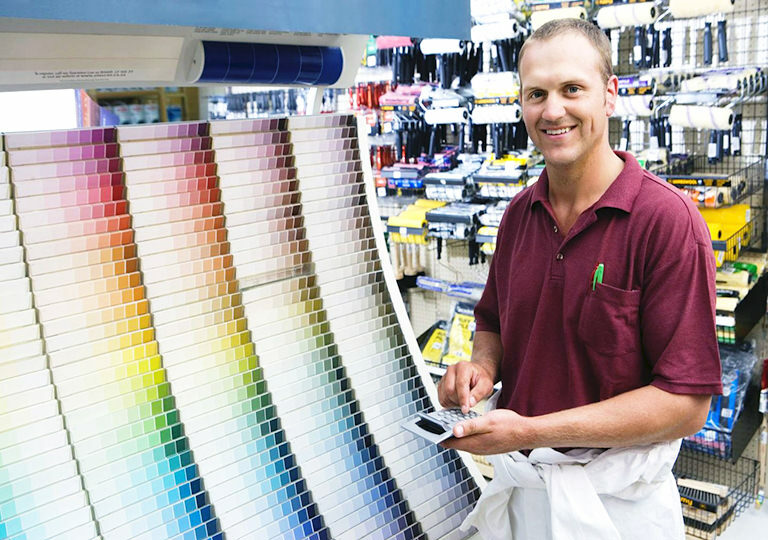 With this information, paint store staff can make helpful suggestions on how much paint you would need to paint your entire house. In exterior home painting, most local exterior painters would recommend using paint rollers instead of the standard bristle brush. Aside from it covers a larger surface area, it produces a smoother finish. #1 Prepare a gallon of paint into a 5-gallon bucket and hang the roller screen into the bucket. Load your roller and roll it against the screen until the roller nap is saturated and the excess paint squeezed out. #2 Work the paint by back-brush up until the bottom edge of shingles and siding with your paintbrush. To smooth the paint, brush with the grain of the wood. As much as possible, avoid painting in direct sunlight. Your paint will dry fast and might cause blistering and peeling. 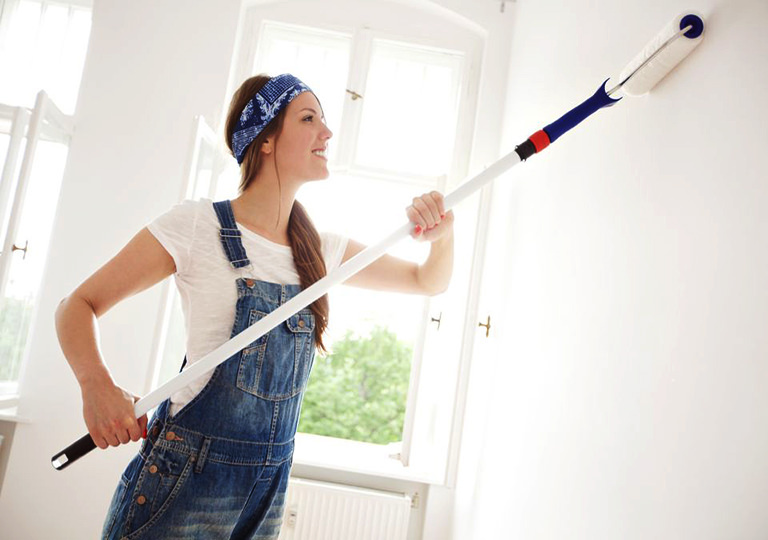 Avoid painting on windy days since it can also dry your paint too fast. Avoid applying latex paint when the weather condition is too cold. You can improve and enhance your painting skills by understanding how professional exterior painters do it. The secret is by breaking the painting steps into smaller steps. Proceed in laying on the paint. You need to paint on the surface in the quickest time possible. You can use a roller or sprayer in accomplishing this step. Apply enough paint without creating drips and runs. Exterior painting experts use a brush to spread the paint evenly over the surface. They do this with continuous brush strokes. Your objective is to hide the previous layer of paint or primer. Be mindful if you’re applying too much paint or not. 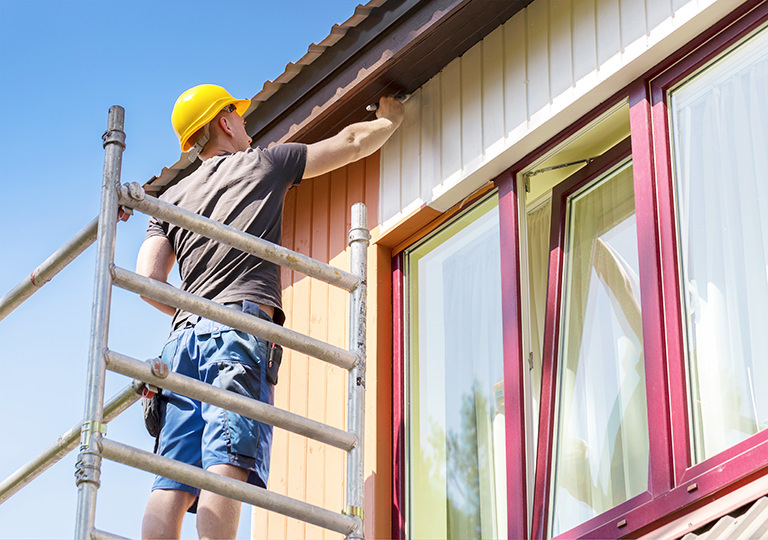 If you decide to hire professional exterior painters, make sure you get on-site estimates from reputable and trustworthy house painters who have experience and select the tradie that offers you the best value.